Well every good (old) Christmas hit needs a decent B-side, in this case ‘Rocking With The Reindeer’ and this is the B-side to John Otway’s attempt at getting a Christmas number one ‘OK Father Christmas’. There is a Facebook group too for the Christmas number one campaign. 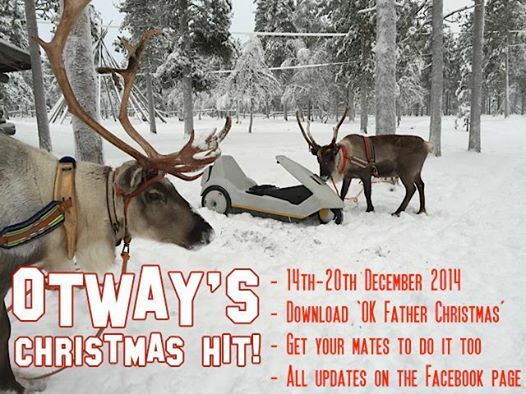 This entry was posted on December 12, 2014 at 9:22 pm and is filed under Classic rock, Music for 2014, News with tags Christmas number 1, John Otway, Music for 2014. You can follow any responses to this entry through the RSS 2.0 feed. You can leave a response, or trackback from your own site.